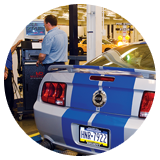 This program instills the mindset and skill sets you need to become a successful professional automotive technician. 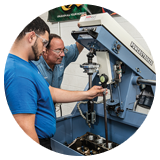 The perfect balance of class time and shop time allow you to enter the workforce with the skills you need to succeed in today’s automotive industry. 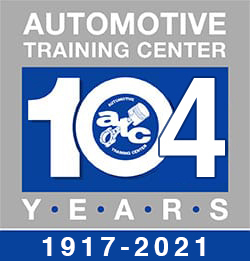 This program will enhance your understanding of automotive engine principles and lead you through the theoretical understanding and practice of maximizing an engine’s performance by selecting the proper combination of performance parts and machining and assembling them with extremely fine tolerances. 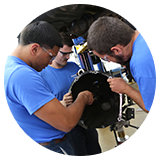 Manufacturers and dealers nationwide are constantly looking for reliable technicians with in-depth automotive and diesel training and expertise. 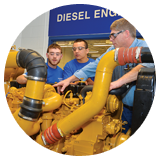 ATC’s Diesel programs provide you with these valuable assets and focus on creating tomorrow’s diesel experts today. Featuring a similar curriculum and training methods as the automotive technology training during the day, you can learn the skills needed to succeed as an automotive technician during a class time and schedule that works best for you. 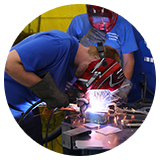 This program features a comprehensive study of welding, structural damage repair, surface preparation, painting and refinishing, cost estimation, electrical steering, and suspension systems. Warminster Campus Only. 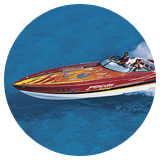 You’ll receive hands-on training and gain experience while performing tasks related to electrical, gelcoat and fiberglass, personal watercraft, and refrigeration and air conditioning maintenance and repairs.